This cottage is attached to the owner's home on the outskirts of Scarborough and can sleep four people in two bedrooms. 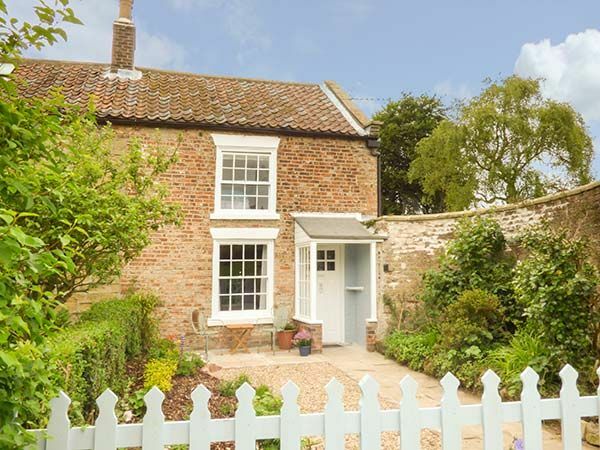 Reiver Cottage is a cosy cottage attached to the owner's home on the outskirts of the North Yorkshire seaside town of Scarborough. the cottage sleeps four people and has one double bedroom, a twin room and a family bathroom. Also in the cottage are a fitted kitchen, a sitting room with a woodburning stove and a garden room with a dining table. Outside is off road parking and an enclosed patio garden with outdoor furniture. Perfect for discovering the magnificent beaches or the stunning moorland scenery, Reiver Cottage suits small families looking for a peaceful holiday in North Yorkshire. Amenities: Gas central heating with woodburning stove. Electric oven and hob, microwave, fridge/freezer, washer/dryer, dishwasher, TV with Freeview, DVD, CD/radio, iPod dock, selection of books, games and DVDs. Fuel, power and starter pack for stove inc. in rent. Bed linen and towels inc. in rent. Off road parking for 1 car on grass outside property. Enclosed patio garden with furniture, front patio with furniture. Sorry, no pets and no smoking. Shop and pub 1 mile, farm shop 1 min walk. Beach 2.5 miles. Town: Popular since Victorian times, the vibrant seaside town of Scarborough retains many of its original fine buildings, parks and gardens, as well as its historic castle which overlooks the town. North Bay and South Bay provide two superb stretches of beautiful, golden sandy beaches, popular with families and small children. There are a number of child friendly activities and many excellent visitor attractions for grown-ups too, including the Stephen Joseph Theatre, Scarborough Spa and Scarborough Open Air Theatre for live music. Two bedrooms: 1 x double, 1 x twin. Bathroom with bath, separate shower, basin and WC. Ground floor basin and WC. Kitchen. Sitting room with woodburning stove. Garden room with dining area and sitting area. Gas central heating with woodburning stove. Electric oven and hob, microwave, fridge/freezer, washer/dryer, dishwasher, TV with Freeview, DVD, CD/radio, iPod dock, selection of books, games and DVDs. Fuel, power and starter pack for stove inc. in rent. Bed linen and towels inc. in rent. Off road parking for 1 car on grass outside property. Enclosed patio garden with furniture, front patio with furniture. Sorry, no pets and no smoking. Shop and pub 1 mile, farm shop 1 min walk. Beach 2.5 miles.